The basic and one of oldest socio-cognitive domains of Human species is music. Listening to music regularly helps to keep the neurons and synapses more active. Depending on the way sound waves are heard or pronounced, they have an impact in the way neurological (brain and nerve) system work in the human body. Neurological studies have identified that music is a valuable tool for evaluating the brain system . 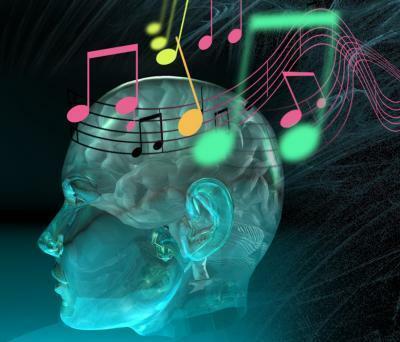 Its observed that while listening to music, different parts of the brain are involved in processing music, this include the auditory cortex, frontal cortex, cerebral cortex and even the motor cortex . Research findings indicate some of the cognitive tests are more influenced by exposure to music . In 1993, Dr. Gordon Shaw of the University of California-Irvine found a temporary spike in the intelligence quotient in college students after they listened to Mozart music. Most of the school children prefer to study with a radio or television turned on  it improves verbal memory, creativity and memorizing of image material . Each type of music has its own frequency, it can either resonate or it can be in conflict with the body’s rhythms (heart rate). Each frequency band of EEG rhythm relates to specific functions of brain, example Frontal midline theta rhythm (Fm theta) often appears on Electroencephalogram (EEG) during consecutive mental tasks . Beta activity relates to increased alertness and cognitive processes . While listening to pleasant music there is decrease in alpha power at the left frontal lobe and unpleasant music produces decrease in alpha power at the right frontal lobe . When subjects listen to the pleasant music the changes were reflected in the EEG and there was an increase in frontal midline (Fm) theta power . Fm theta was observed during a large variety of tasks, such as mental calculation, working memory, learning ,  and meditation . Listening to music increases the power at theta and alpha frequencies of the human EEG . Selecting the right type of music was important because the EEG spectral power depend on the intensity and style of music . The psychological and physiological health of individuals can be improved by music therapy . Neurological studies have identified that music is a valuable tool for evaluating the brain system . The effect of Indian classical music and rock music on brain activity (EEG) was studied using Detrended fluctuation analysis (DFA) algorithm, and Multi-scale entropy (MSE) method, using this method a study concluded that the entropy were high for both the music and the complexity of the EEG increases when the brain processes music  monitored the brain wave variation by changing the music type (techno and classical) and the results showed when the music was switched from classical to techno, there was a significant plunge of alpha band and from techno music to classical there was an increase in beta activity. Most of us listen to music of our choice during our leisure time or while working / studying. Music can be used as a tool to relieve tension/ stress, solitude, relax it also has an ability to enhance the listeners mood . These changes are reflected clearly in physiological system and with validation for such methods it can pave a way for a personalised music therapy not only for people with psychiatric complication but also for general wellness. Steriade M. Cellular substrates of brain rhythms. In E. Niedermeyer & F. H. Lopes da Silva (Eds. ), Electroencephalography Basic principles, clinical applications, and related fields, 4th ed. (pp. 28 – 75). Baltimore: Williams & Wilkins 1999. Clinical Neuroscientist | Founder Uberbrain Research Frontier.